Poll: Which of these two films are you excited for? సినిమా బ్లాక్ బాస్టర్ అయినా యూఎస్ లోని లోకల్ డిస్ట్రిబ్యూటర్లకు డబ్బులు రాలేదు ! 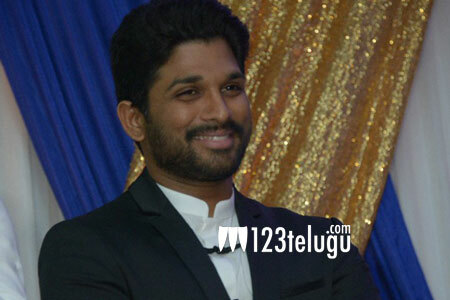 Allu Arjun’s next with yet another debutante? Star hero Allu Arjun, is busy shooting for his new film Na Peru Surya in Ooty. Apart from this film, Bunny will make his debut in Tamil too. But the latest we hear from our sources is that Bunny will be giving a break to yet another debutante director for his next film. What’s more interesting is that the reports also reveal that noted production house, UV Creations might be producing this film which will be made on a very stylish note. If this happens then Bunny will be the only star hero who has given break to two new directors back to back. As of now, Bunny’s complete focus is now on Na Peru Surya which is directed by yet another debutante Vakkantam Vamsi.